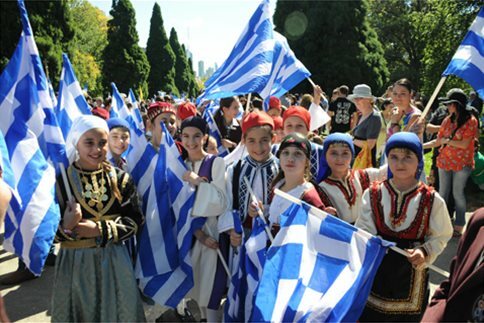 (Photo shows Greek-Australian students celebrating Greek Independence Day in Melbourne; about half of all Australians of Greek descent live in Melbourne, and Melbourne has the largest Greek community outside Greece itself). Am I right in thinking that Australia also has a large Italian community? Yes – it’s the largest non-British-descended community in Australia, and around 5% of the population, although much larger in Melbourne. (Sorry you got sent to spam again – I am trying to get everyone out in time! The spam filter has gone quite nutty since its update).